My Birthplace: shared decision making at it’s best! 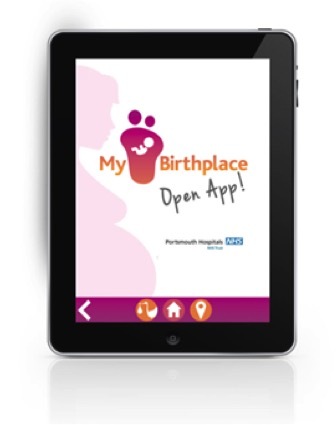 The My Birthplace app gives evidence based information and is used as part of a shared decision making pathway to help women express their preference for place of birth. It was developed by a group of local mothers, midwives and web designers (the technical team!) following a successful bid for the Health Foundation Shine awards. After the Birthplace study was published it became clear that mothers and midwives did not use the evidence in a way that was useful to them. The app was tested locally in Portsmouth. The initial feed back from mothers and midwives was that it was simple to use, presented the evidence in away they could understand and the number of women expressing a preference for place of birth increased at 36 weeks! There is a PhD student now in her final year of her research digging deeper into women’s experiences of using the app. The service can monitor the use of the app and there are approximately 500 new users every month. At least we can say that women are accessing the information and the evidence! 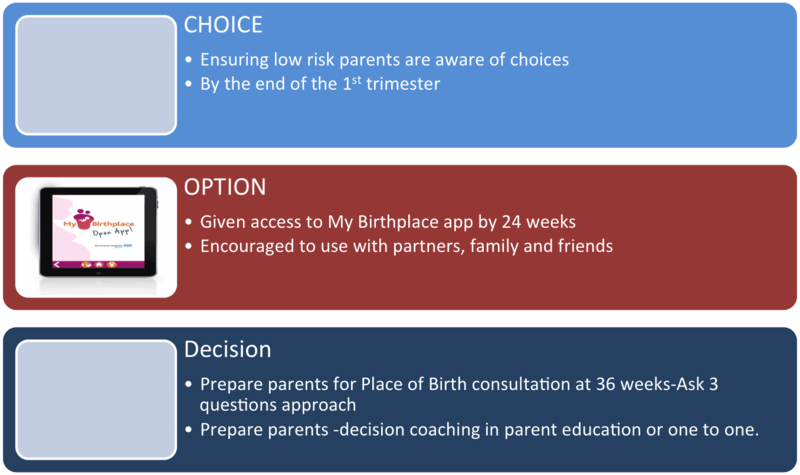 The most important thing about implementing the My Birthplace app was actually the Shared Decision Making training programme (see below) for place of birth. This is based on a simple model and the training has helped midwives talk to women in a different way about their values and preferences in order to support their final decision. We have also tested an ‘Ask 3 Questions’ card which also supports women to take the lead in asking questions about Place of Birth. This has increased women-led conversation about place of birth. The My Birthplace app. has now been rolled out across Wessex and has been bought by Tayside. There is a clincial reference group that meets three times per year to implement any changes and ensure new evidence is added to the app. For example, when the NICE guideline for place of birth was published we added information about transfers. The number of births off the labour ward in Portsmouth is now between 20-25%. The most important thing is that women feel confident in their decision and understand both the benefits and risks of each place of birth. The app is used by partners and family members too-always helpful for influence and support! Great info, and the word is spreading. Enquiries being received from more Trusts! Congratulations and a big thank you to the team that put this app together. As an obstetrician, promoting natural birth and professional midwifery in India, I wish we could use this idea and CUSTOMIZE a similar app for our needs. We can put in more information on births without intervention, mobility, birthing positions, skin to skin and dealyed cord clamping. Women across India , regardless of education and socioeconomic strata, must be given the right information in this simple, easy to understand manner. I am convinced we will initiate the much needed ROAR from women, who will then know what they want and what they should demand. While our choices ( in India) for selecting the place of birth is restricted with the Government’s mandate for institutional deliveries, women will at least know what they do not want. Three cheers to the makers of this wonderful app. 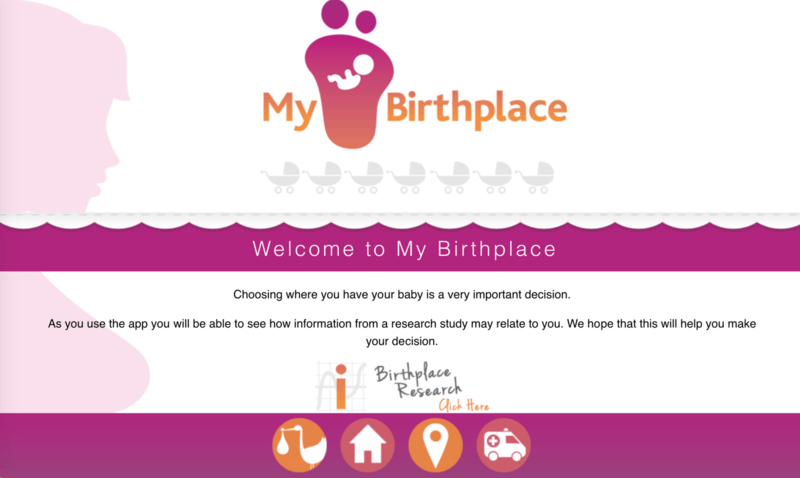 This is an innovative and brilliantly accessible tool for women to empower themselves with easy to digest up to date research evidence😃 Great for midwives – sharing large pieces of research and long guidances can be time consuming and challenging.